On reflection it would seem like an odd decision to give myself a few evenings to get ready to fish somewhere I hadn’t been to before. I think Dave Harrell’s comments about my natural angling ability must have been running through my head. Confidence was good. Cleaning out my bait boxes that have been left for years! 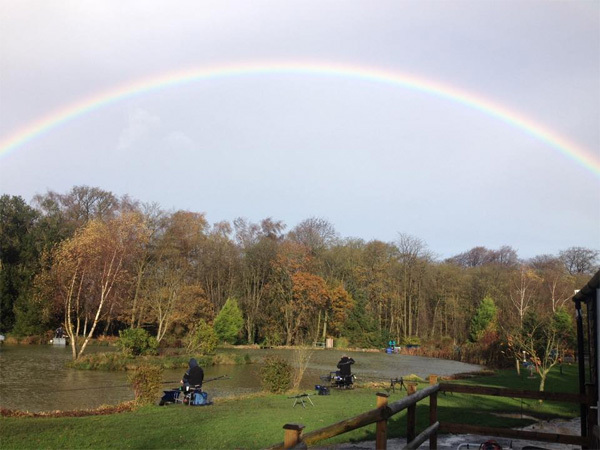 Sunday came and by half 7 I was pulling into the car park at Springwood Fisheries. Did I say it was windy? Jesus, it was so windy! The match came and went pretty quickly. I had a dream start, about 20 minutes in I hooked into a carp, I think I was the first person to get a fish. Unfortunately, it came off just as I was ready to net it. That set the tone for the next 3.5 hours, I didn’t start catching well until the last hour. It was a good experience and I learnt quite a lot. 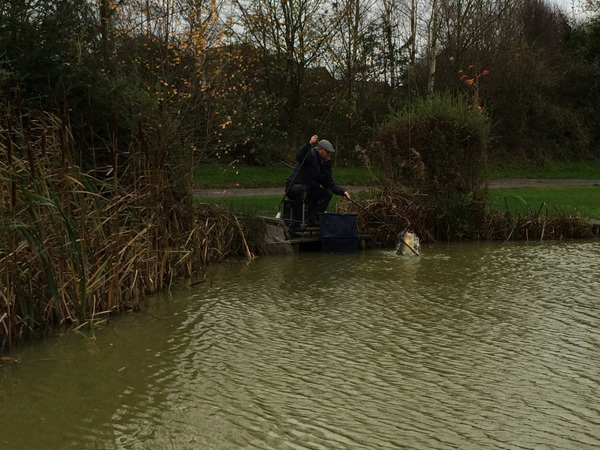 Rich won the match from a peg just round the corner of the lake, so that made it an interesting week at work. Roll on to this Sunday and I was back at Springwood. The wind had died down, but this week we were faced with bitterly cold conditions. I drew a half decent peg and was the only person to land a big sized carp. I won the match by just over a pound, pretty good going for my second match back! This week at work has been a bit better. Both of the matches have been great fun, especially taking the win! One of the hardest things I found was how long it took before I could tie some decent knots, barbel fishing with size 10 hooks, braid and 10lb line is a whole world apart from tying spade ends on 0.14 line. I’m going to try spending the few months over the winter on different commercials, I love fishing on natural venues, but in the cold weather I would rather catch some fish rather than spend hours walking to a peg to catch a few bits. I feel lazy typing that, but I suppose you have to take advantage of what you can! Good stuff. It’s a shame those 6 carp you caught weren’t anywhere near as close to my biggy.